I used this twice recently when our cat decided to use the hallway as a bathroom. The foam kind of sits on top of the carpet. After 30 min you vacuum up. It is quite messy, doesn’t go very far and not overly effective. 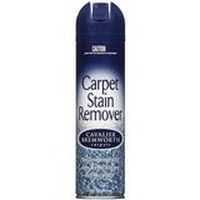 How would you rate Cavalier Floor Carpet Stain Remover?